Bana sermon by Ven. 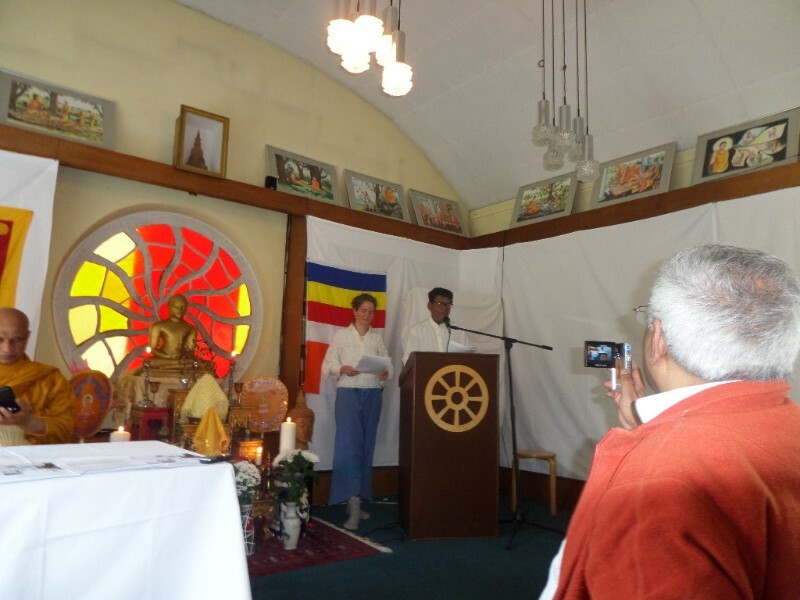 Dikwelle Seelasumana Thero (left) prior to Dawal Dane for the monks at Das Buddhistische Haus (Berlin Vihara) on Vesak Day (May 3). In the middle of the row of monks is Ven. K. Santharakkhitha Thero and next to him is the German monk Ven. Pasanno Thero. 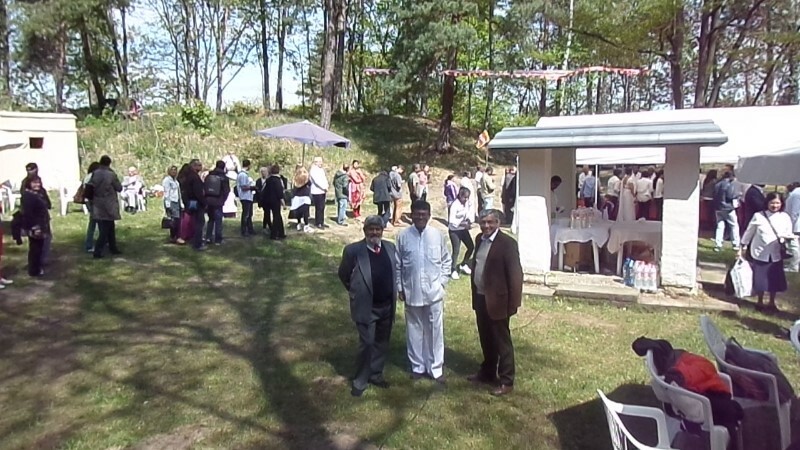 Day ( May 3, 2015) at Das Buddhistische Haus. It was interpreted into German by a German Buddhist lady ( Mrs. Peggy Moeller). The unveiling of the framed Photograph of Walther Schmits ( see wall with two drawn blue curtains ). 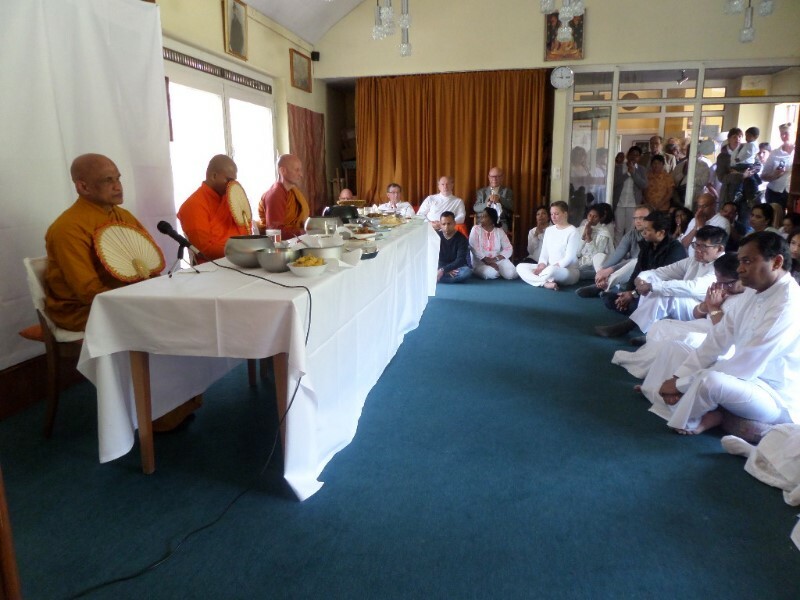 Three Buddhist monks at the Berlin Vihara chant Buddhist verses during the unveiling of the Photograph of Walther Schmits ceremony. was gifted to the GDS by the Frowein family ( relatives of Walther Schmits) of Wuppertal, Germany. The gift of Poems written by Walther Schmits being displayed. In the middle of the picture is Mr. Tissa Weeraratna. 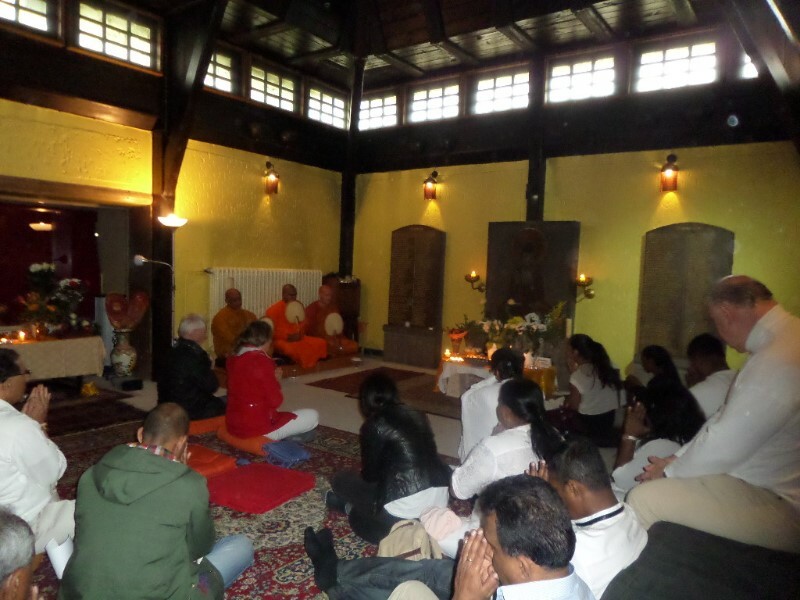 Over 250 people including Sri Lankans, Germans, Thais, Cambodians and the like attended the Vesak day celebrations at Berlin Vihara. Berlin Buddhist Vihara and Mitirigala Nissarana Vanaya. 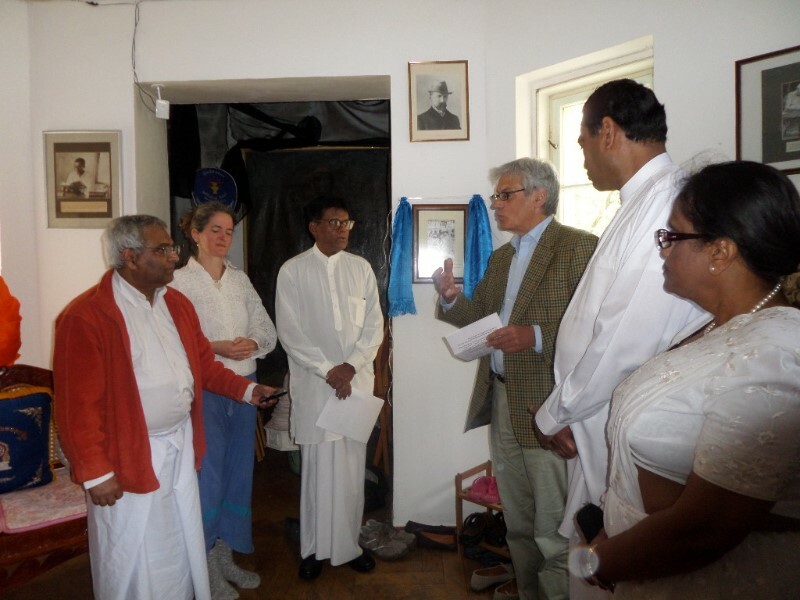 Senaka Weeraratna is seen in the company of the relatives and well wishers of Walther Schmits inside the Berlin Vihara. On the right is Tissa Weeraratna.